I hope people don't run screaming when I write about the drums. In most cases, I am not writing about the drums, but about something I learned about life through the drums... Granted my last piece on the aesthetics of drums is a bit more drummy than most, but stick with me with this one. It's about the concept of tradition more than it is about drums. There are those among us who are so tied to tradition that we refuse to admit change into our lives or into the lives of society as a whole. This is bad. But, then, there are those who call any traditional view "old fashioned" or outright stupid. This, also, is bad. The thing is, tradition that makes sense should remain and tradition that does not make sense should be considered for upheaval. You can see that if that drummer held the left-hand stick the same way he is holding the right hand stick, his elbow would wind up being all chicken-wingy. This would cause havoc in his shoulder. As with all things, though, why quibble with those who prefer the traditional grip? To each his own. I, too, occasionally go back to the older grip simply because I learned certain things that way and find it more comfortable. 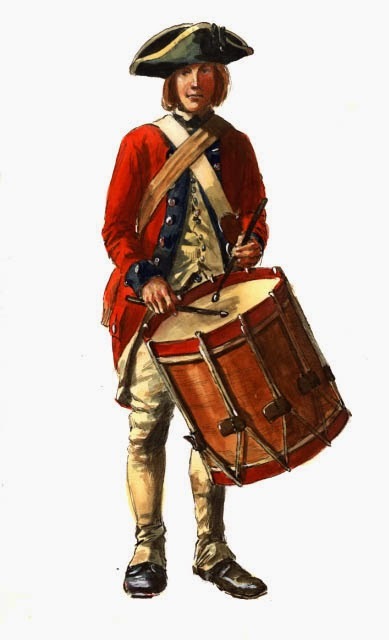 Sure, he was a wonder on the drums, but many have come after who have shown tremendous prowess while using the matched grip. Should we "outlaw" traditional grip? No. Should we make those who still use it feel shame? No. 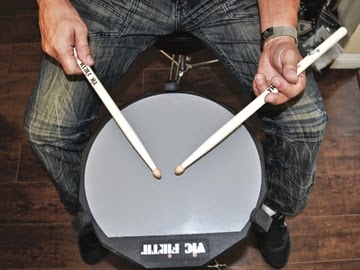 Should we force feed new drummers the matched grip? No. You can apply your own tradition-versus-newness topic to the sentences above; it isn't just something to be considered in terms of drumming. Change if it makes sense; don't change if it does not. But that doesn't mean he's right. At the same time, it doesn't mean tradition has no value. For those who might be interested, here is Gavin Harrison...uh, not doing what you can't do with matched grip.